Train No. 01113 Lokmanya Tilak (T) - Sawantwadi Road Shivratri Special will leave from Lokmanya Tilak (T) at 01:10 hrs on 04th March 2019 (Monday) . Train will reach Sawantwadi Road at 12:00 hrs on the same day. Train No. 01114 Sawantwadi Road - Lokmanya Tilak (T) Shivratri Special will leave from Sawantwadi Road at 13:10 hrs on 04th March 2019 (Monday).Train will reach Lokmanya Tilak (T) at 00:20 hrs on the next day (Tuesday). The train will halt at Thane, Panvel, Roha, Mangaon, Khed, Chiplun, Ratnagiri, Kankavali, Sindhudurg and Kudal station. Composition : Total 17 Coaches = 2Tier AC – 01 Coach, 3Tier AC – 02 Coaches, Sleeper – 08 Coaches, General – 04 Coaches, SLR – 02. 2) Train No. 01111 / 01112 Mumbai CSMT - Karmali - Mumbai CSMT Shivratri Special. Train No. 01111 Mumbai CSMT - Karmali Shivratri Special will leave from Mumbai CSMT at 00:20 hrs on 02nd March 2019 (Saturday). Train will reach Karmali at 13:30 hrs on the same day. Train No. 01112 Karmali - Mumbai CSMT Shivratri Special will leave from Karmali at 14:05 hrs on 03rd March 2019 (Sunday). Train will reach Mumbai CSMT at 00:25 hrs on the next day (Monday). 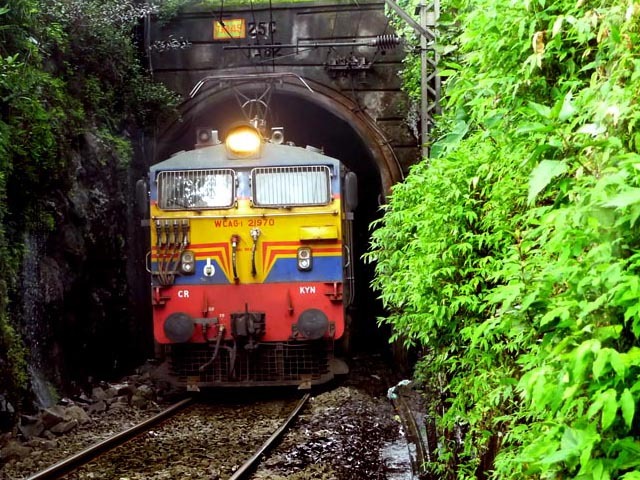 The train will halt at Dadar, Thane, Panvel, Roha, Mangaon, Khed, Chiplun, Ratnagiri, Kankavali, Sindhudurg, Kudal, Sawantwadi Road and Thivim station. Composition : Total 18 Coaches = 2Tier AC – 01 Coach, 3Tier AC – 01 Coach, Sleeper – 04 Coaches, General – 10 Coaches, SLR – 02. 3) Train No. 01436 / 01435 Karmali - Panvel – Karmali Shivratri Special. Train No. 01436 Karmali - Panvel Shivratri Special will leave from Karmali at 14:05 hrs on 02nd March 2019 (Saturday) . Train will reach Panvel at 23:45 hrs on the same day. Train No. 01435 Panvel – Karmali Shivratri Special will leave from Panvel at 01:00 hrs on 03rd March 2019 (Sunday). Train will reach Karmali at 13:30 hrs on the same day. The train will halt at Thivim, Sawantwadi Road, Kudal, Sindhudurg, Kankavali, Ratnagiri, Chiplun, Khed, Mangaon and Roha station. 4) Train No. 01477 / 01478 Pune Jn. - Sawantwadi Road – Pune Jn. Holi Special. Train No. 01477 Pune Jn. - Sawantwadi Road Holi Special will leave from Pune Jn.at 18:45 hrs on 19th March 2019 (Tuesday) . 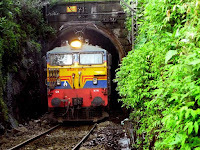 Train will reach Sawantwadi Road at 08:00 hrs on the next day (Wednesday). Train No. 01478 Sawantwadi Road - Pune Jn. Holi Special will leave from Sawantwadi Road at 13:10 hrs on 21st March 2019 (Thursday) . Train will reach Pune Jn. at 02:45 hrs on the next day (Friday). The train will halt at Lonavala, Panvel, Roha, Mangaon, Khed, Chiplun, Ratnagiri, Kankavali, Sindhudurg and Kudal station. Composition : Total 20 Coaches = 2Tier AC – 01 Coach, 3Tier AC – 05 Coaches, Sleeper – 08 Coaches, General – 04 Coaches, SLR – 02. 5) Train No. 01121 / 01122 Sawantwadi Road - Panvel – Sawantwadi Road Holi Special. Train No. 01121 Sawantwadi Road - Panvel Holi Special will leave from Sawantwadi Road at 13:10 hrs on 20th March 2019 (Wednesday) . Train will reach Panvel at 23:00 hrs on the same day. Train No. 01122 Panvel – Sawantwadi Road Holi Special will leave from Panvel at 23:50 hrs on 20th March 2019 (Wednesday). Train will reach Sawantwadi Road at 09:45 hrs on the next day (Thursday). The train will halt at Kudal, Sindhudurg, Kankavali, Ratnagiri, Chiplun, Khed, Mangaon and Roha station.